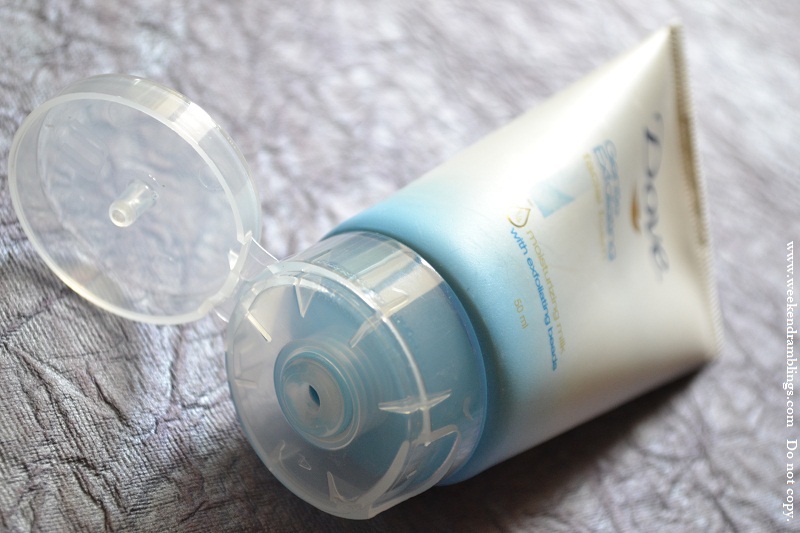 After a trial with the green Dove, I decided to pick up the more commonly available blue Dove - the difference as I found out is that this one is "exfoliating" with blue beads in the cream cleanser - hence, the blue packaging! Easy enough to understand, isn't it? The product comes in a simple tube-with-flip-open-cap packaging. It's a creamy cleanser that gives a very soft lather and is very easy to wash off. The exfoliating beads are just the right size and scattered about in the perfect quantity to just provide a very minimal scrubbing while being gentle enough for everyday use. 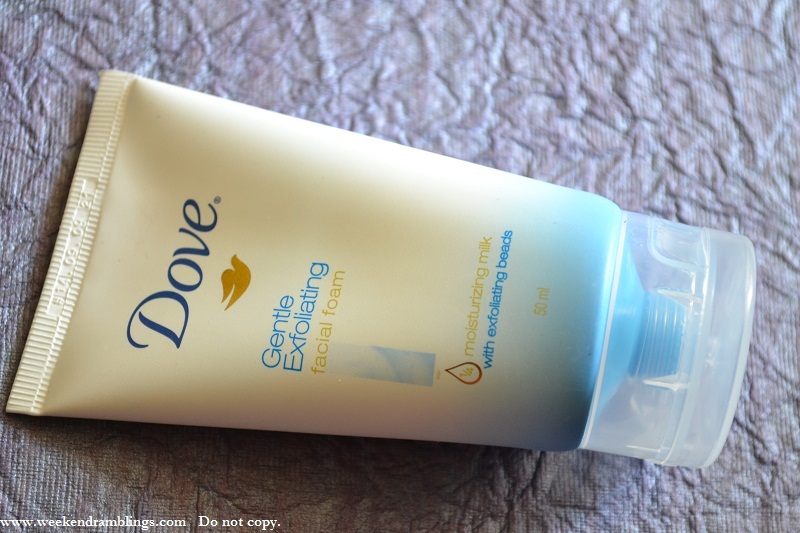 Dove claims this cream cleanser is perfect for everyday use, and that is absolutely true! It is is quite mild with a very faint, almost nonexistent, fragrance. I do feel, though, this leaves a slight oiliness to the skin and would be more suitable for anyone who is looking for a cleanser that doesn't dry the skin too much. 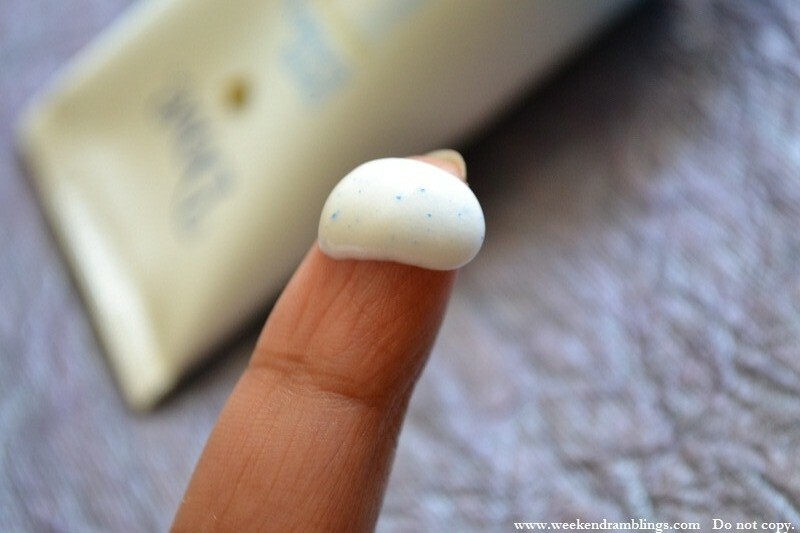 Also, because of the exfoliating beads present in it, I avoid scrubbing near my eye area and do a very light wash with the foam, and I would prefer a cleanser that I can use all over my face without too much of a bother. I keep this as my morning face wash since I won't have any eye makeup to take off that time. 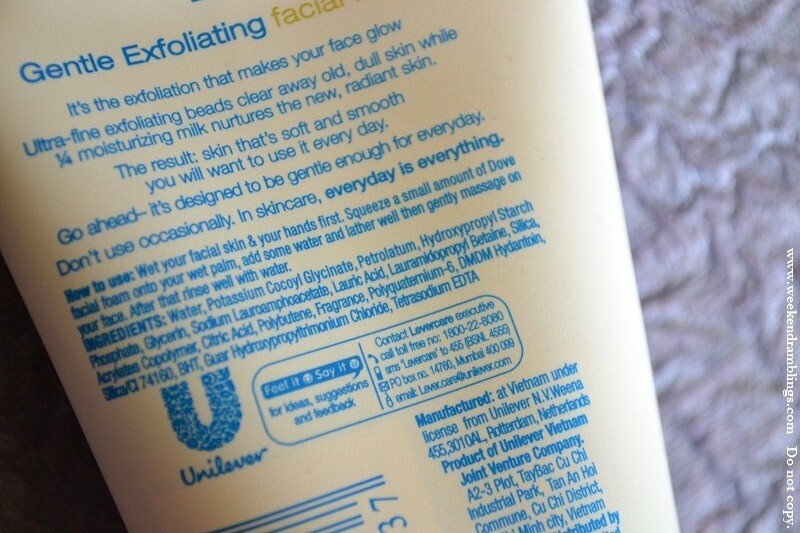 Better suited, in my opinion, for the not so oily/acne-prone skins. I did not have any break-outs or other reaction to this product, though.